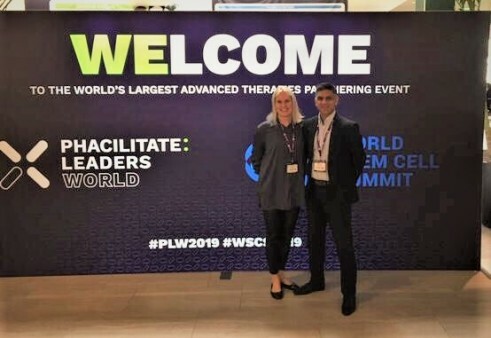 Phacilitate: Leaders World and World Stem Cell Summit 2019 was held in Miami last week. Conference provided a broad visibility over Gene and Cell Therapy community and Advanced Therapies. Partnering tool created excellent opportunity to meet and connect with people. Hanna Lesch, our gene Therapy Unit Director participated in Key considerations for Gene and Cell Therapy manufacture; scale-up for GMP viral vector –session, panel discussion and her talk covered AAV process development challenges. To read more about Phacilitate, click here. We also heard a touching speech about a success story by Tom Whitehead, the father of Emily Whitehead who became the first pediatric patient treated with T-cell therapy (CAR-T) and Dr. Bruce Levine. These stories give meaning for every scientist who work hard for novel therapies. To read Emily’s story, click here.